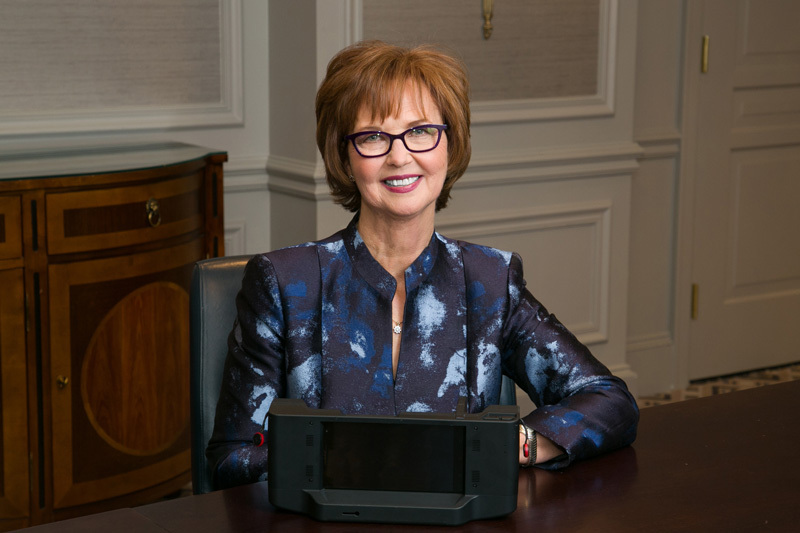 Margaret is an industry leader, strategist and visionary at the forefront of IoT RFID sensor location technology. In 1994, she founded StealthNetwork Communications, Inc.®, to optimize and upgrade telecom systems for clients such as Verizon and Hewlett Packard and in 2007, expanded her company to solve inventory problems for luxury retailers. She conceived and developed the StealthMatrix ARC™, a game-changing RFID scanning, mapping and searching device, that locates every item in client’s stores, saving considerable time, money and staff. Under Margaret’s direction, Stealth evolved from the telecommunications industry to designing and delivering complex emerging technology solutions for her clients. She used her expertise in engineering and wireless infrastructure to build state-of-the-art tracking systems that utilize sensors. Stealth is considered the gold-standard in the integration of IoT sensor based solutions, and location tracking. Their solutions are used by clients including Deloitte, Toyota, Verizon, the U.S. Air Force, the U.S. Department of Energy, and the U.S. Department of Defense. Before founding StealthNetwork Communications, Margaret designed, installed, and supported sophisticated telecommunications operations. She learned how to align customers’ business plans with their evolving technology needs while also designing, installing, and supporting secured Ethernet-based voice and data networks for government and defense customers, such as Sandia and Lawrence Berkeley National Laboratories. During that time, she worked with early adopters, the late Steve Jobs of Apple, Ford Aerospace & Communications Corporation, and CALPERS. Margaret has a Bachelor’s degree from California State University, Chico and has several patents pending in voice biometrics and sensor technologies.